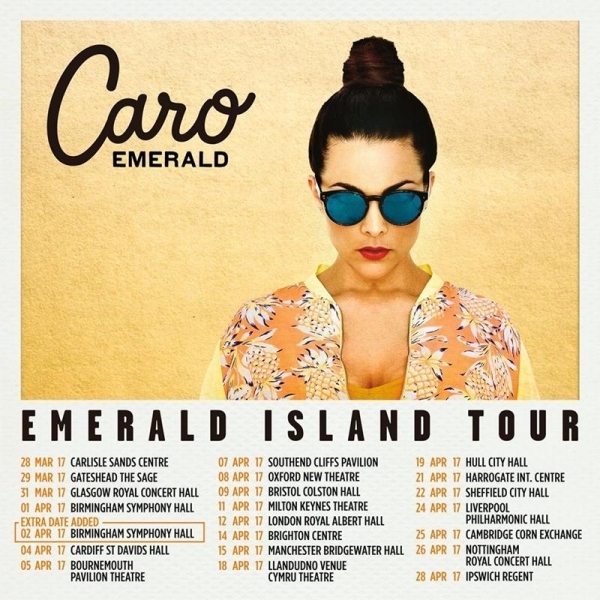 Caro Emerald performing her The Emerald Island Tour at The Royal Concert Hall Nottingham on Wednesday 26th April 2017. 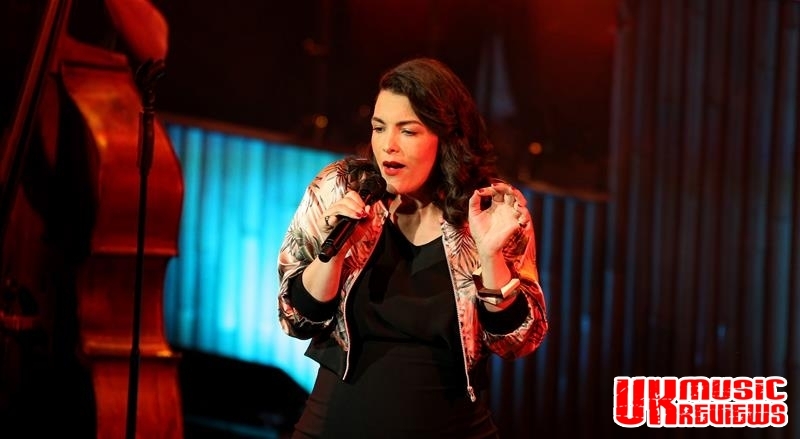 Caro Emerald celebrated her 36th birthday last night by inviting a packed Royal Concert Hall to her very own Emerald Island. 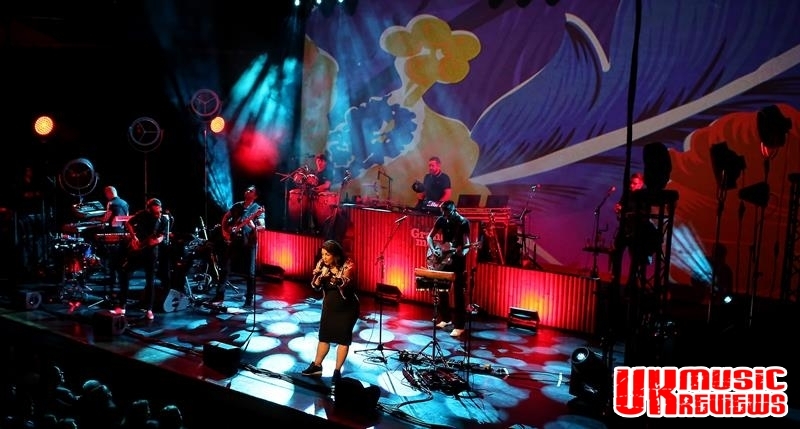 With a huge screen backdrop showing images of an island, beach and a bar, her very talented seven piece band began the night with an atmospheric instrumental which gradually surged into a salsa which saw Emerald begin a compelling performance. As she kicked off with some of her most well known and loved hits, the pregnant Emerald proudly showed off her bump. With her debut album, Deleted Scenes From The Cutting Room Floor having beaten the record previously held by Michael Jackson’s Thriller for the most weeks at the top of the Dutch charts, it was no surprise to hear the likes of the pacy Riviera Life and the toe tapping Back It Up. 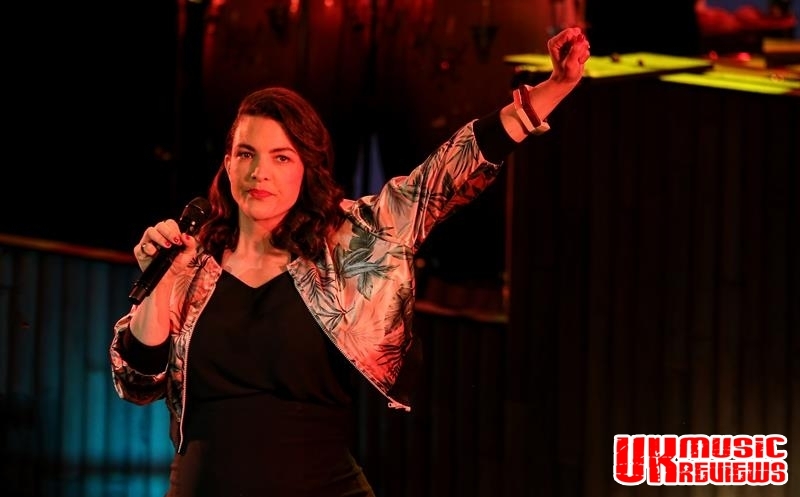 With her infectious blend of electro swing, salsa, jazz and pop, no one was able to escape the rhythm. Touring to promote her latest EP, new songs such as Tahitian Skies and Never Ever went down a treat. The Ghost Of You was reminiscent of a theme tune from an old Western film whilst old song Quicksand featured a guitar riff that would not have sounded out of place in a Tarantino movie. 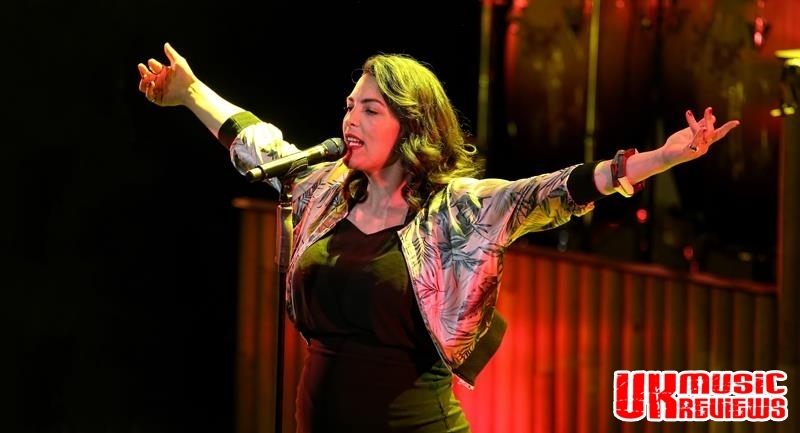 But with her beautiful and sometimes haunting voice it was the familiar songs like Liquid Lunch and A Night Like This that were the highlights. 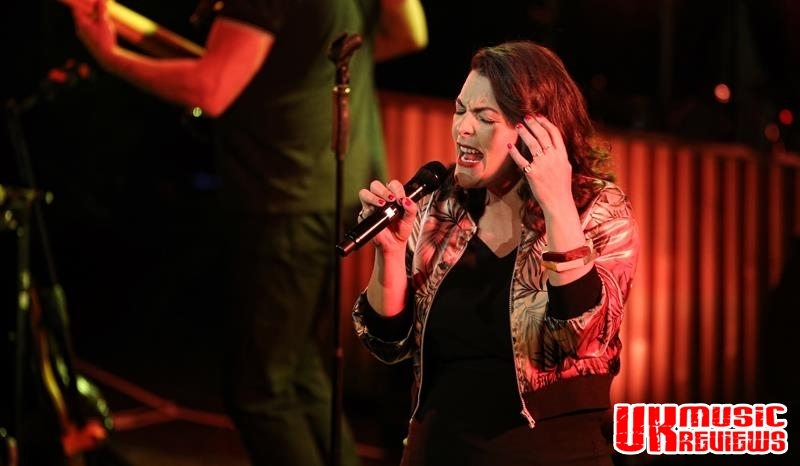 Her voice was impeccable on every song and even as she left the stage to change, her band excelled with solos and routines that had the crowd completely enraptured. Ending the party with a three song encore, there was a wonderful rendition of Nat King Cole’s Nature Boy, before this tropical evening was brought to a close with her latest single, Whatchugot. 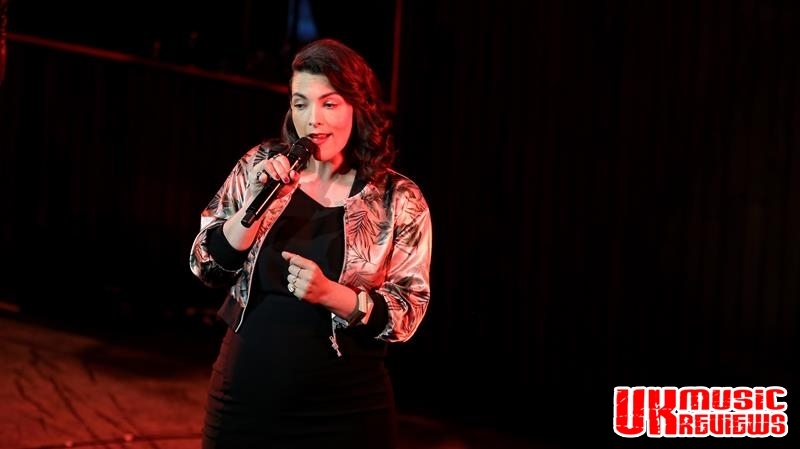 Delivering a live performance which was both electrifying and exhilarating, Emerald showed her masterful prowess as a singer, delivering songs which were too infectious to ignore. And she knows how to throw a good party.